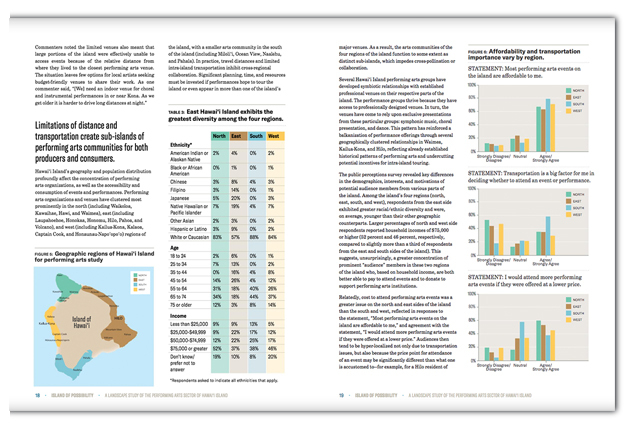 Hawaii Advocacy Reports Policy reports can be beautiful, too! 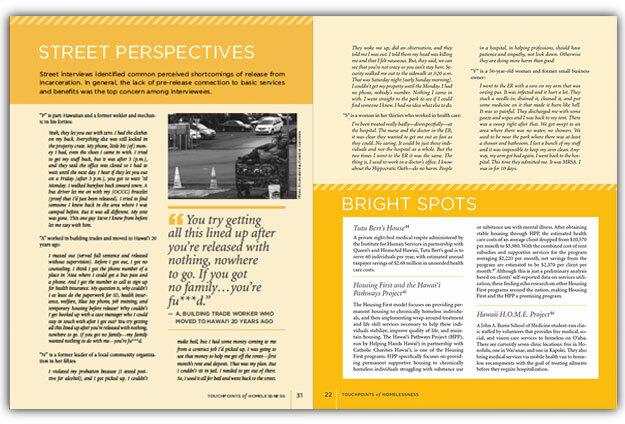 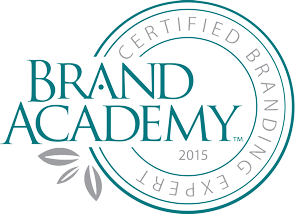 Design features enhance accessibility and readability. 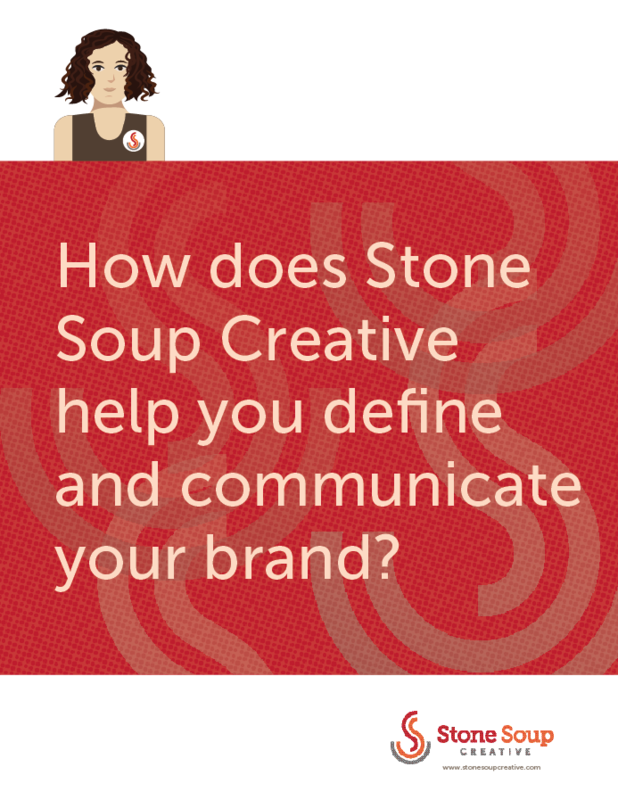 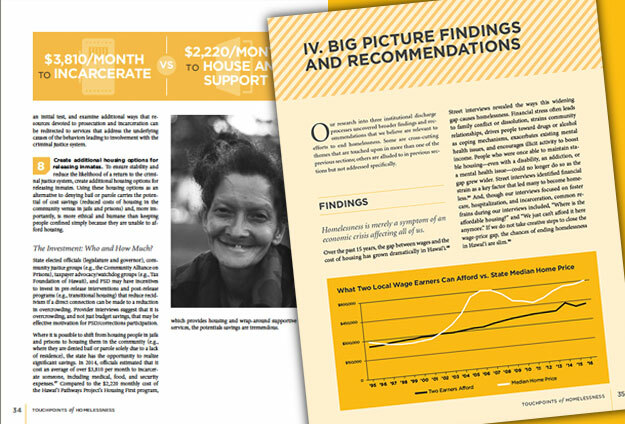 Stone Soup was brought on board by our colleagues at JLI Consulting – writers and social sector consultants – to design two Hawaii-focused policy reports. 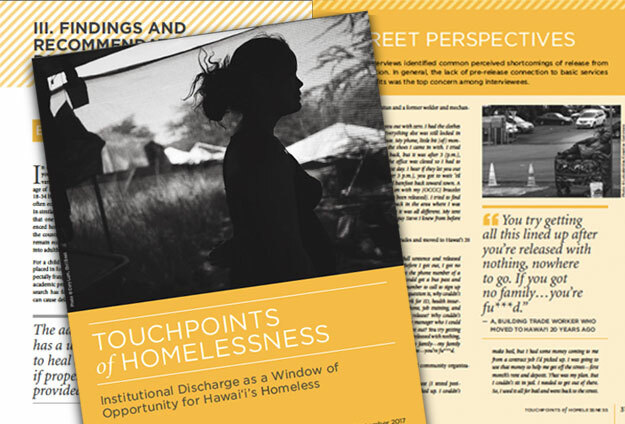 Touchpoints of Homelessness: Institutional Discharge as a Window of Opportunity for Hawai’i’s Homeless (2017) presents findings and recommendations on the widespread problem of homelessness in Hawai’i. 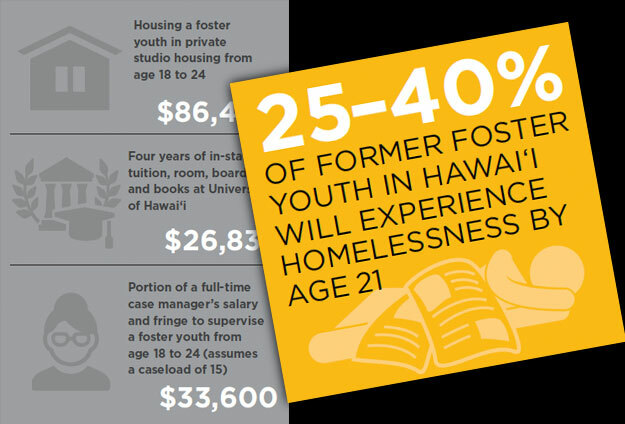 (It is also posted here on the State of Hawaii’s Department of Human Services site). 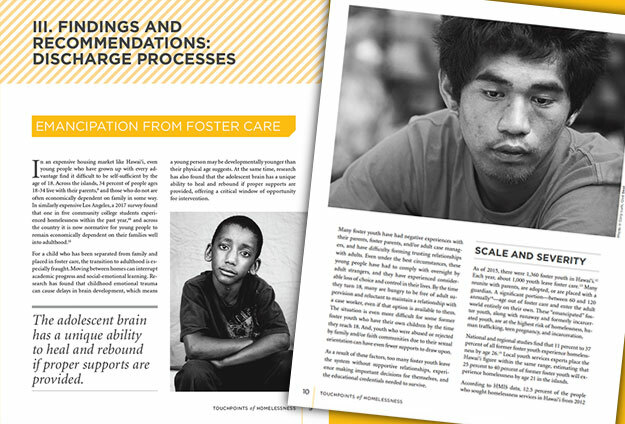 This study investigates several conduits into homelessness such as: 1) People aging out of foster care; 2) Getting out of jail; and 3) Being discharged from hospital. 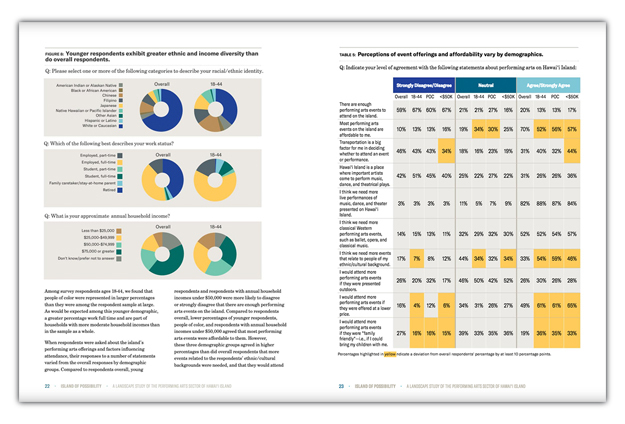 Readership target is an audience of legislators and community stakeholders such as service providers, police departments, social workers, and judicial system workers. 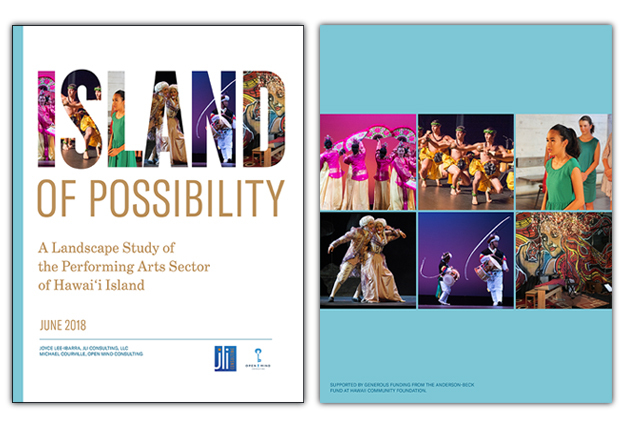 Island of Possibility: A Landscape Study of the Performing Arts Sector of Hawaii Island (2018) is a study of the economic and cultural vitality of performing arts on Hawaii Island. 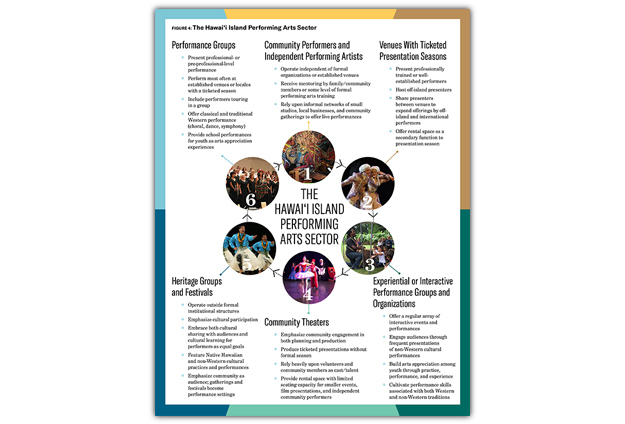 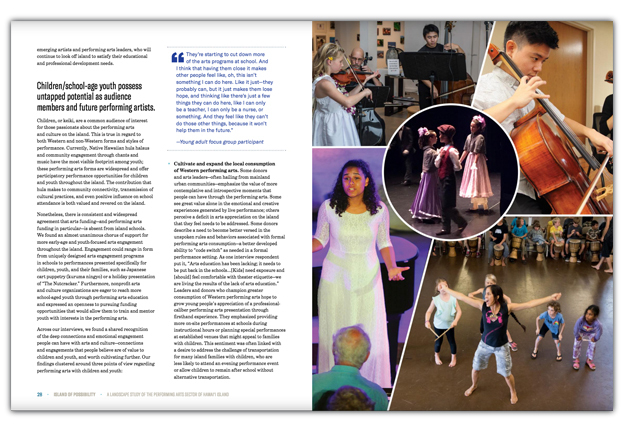 Hawaii Community Foundation has posted the report online, under the Arts & Culture subheading of their Research and Reports page, and they also shared it for inclusion in IssueLab, which is a research & report repository sponsored by the Foundation Center. 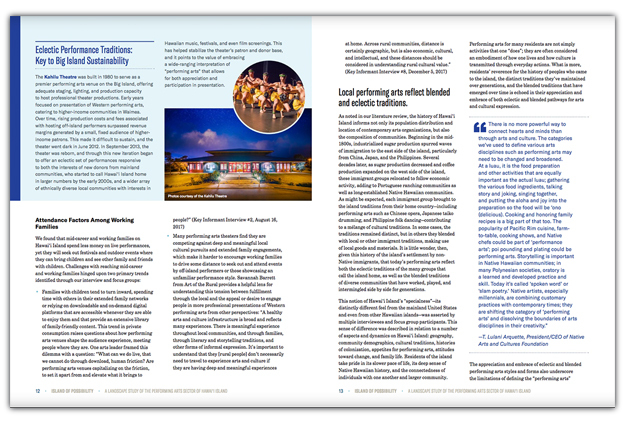 See the entire Homelessness report and Performing Arts Sector report on Issuu.